Hours before Disneyland kicked off its Soundsational Summer 2-day media extravaganza last week, Universal Studios Hollywood held their own musical event. 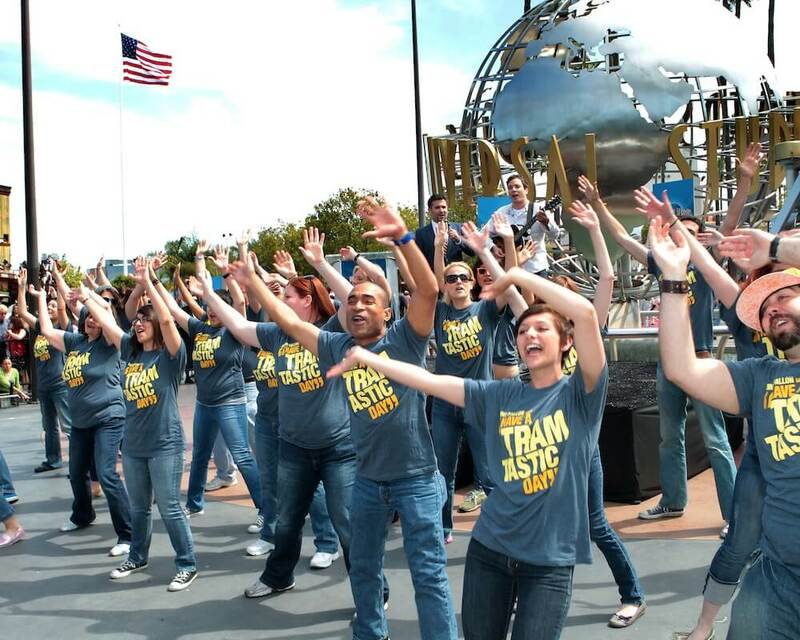 But at Universal, the theme was “Tram-tastic” as comedian and late-night talk show host Jimmy Fallon performed alongside a small dancing flash mob of sorts to debut his new hosting duty on the park’s famous Studio Tour. 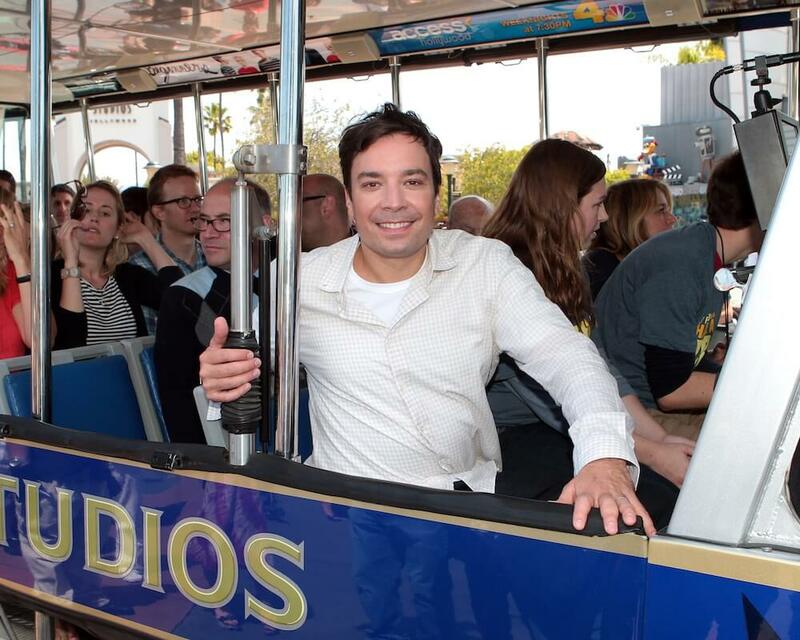 “Tram-tastic” is the new theme song Fallon penned to mark his small screen debut as host of the theme park’s signature behind-the-scenes attraction that has taken more than 150 million visitors through movie and television industry history. As the Studio Tour’s new “Video Host,” Fallon introduces a series of clips that are seen on the HD monitors located in each Tram car to augment the “live” narration provided by Universal Studios Hollywood’s tour guides. 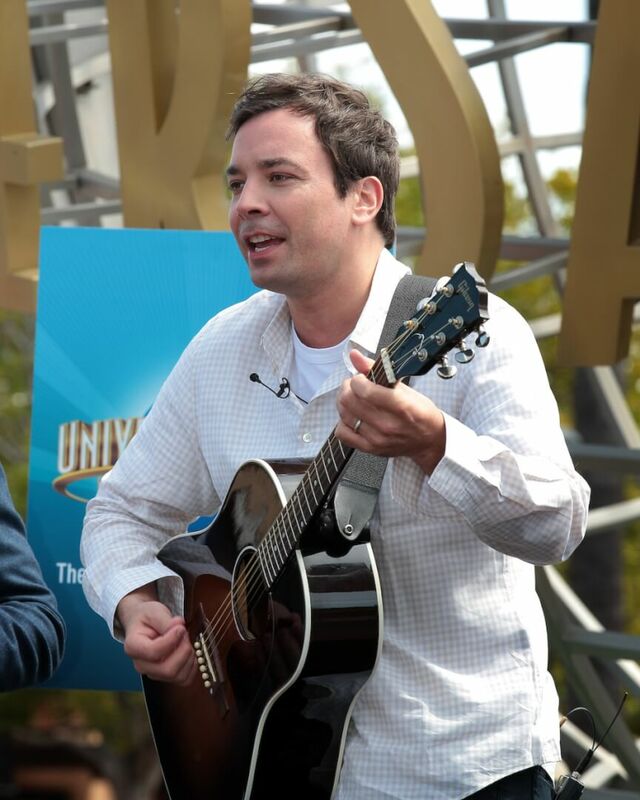 Each clip features Fallon inserting himself into a variety of roles within a Universal Studios backlot location that replicate an array of movie scenes and depict how various settings are utilized in film production. The addition of Fallon to the park comes on the heels of other recent enhancements to the popular Studio Tour, including King Kong 360 3-D, created by Peter Jackson as the world’s largest 3-D experience. More than four acres of the newly rebuilt New York Street backlot locations also recently re-opened, an area that features 13 city blocks of buildings and working shooting locations that offer Studio Tour guests a front row look at Hollywood moviemaking. And now guests along that tour can have a “Tram-tastic” day every day, with Fallon offering comic relief along the way.